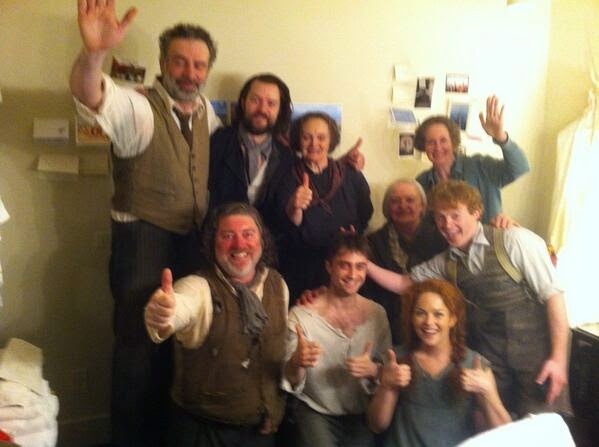 More news on The Cripple of Inishmaan on Broadway which you could have missed. 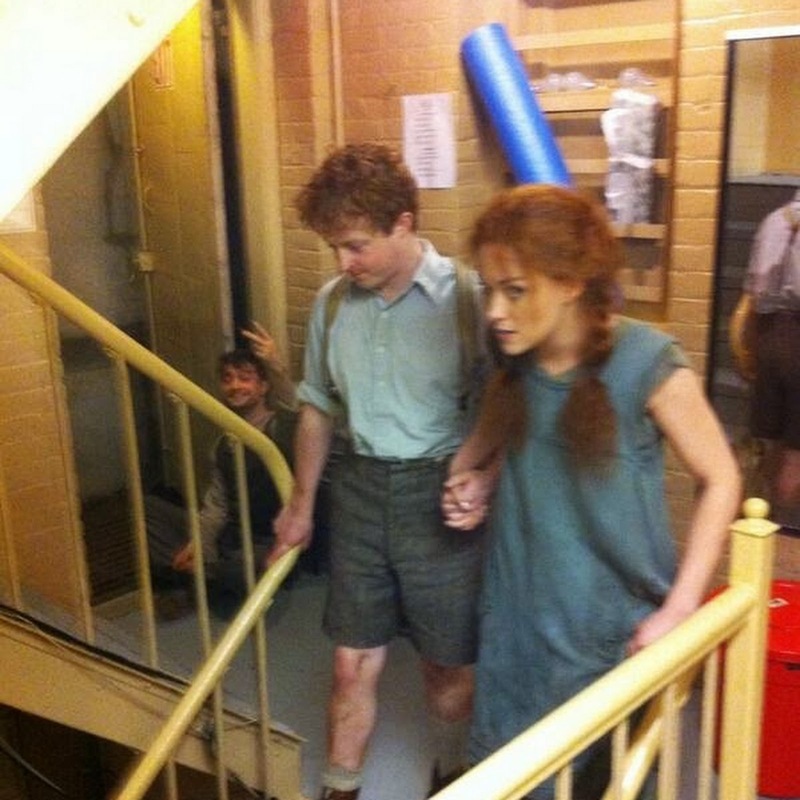 First off there are backstage photos featuring Daniel posted on Twitter by the "2 Inishmaan Aunties" (@Inishaunties, which are Gillian Hanna & Leslie Lyles). 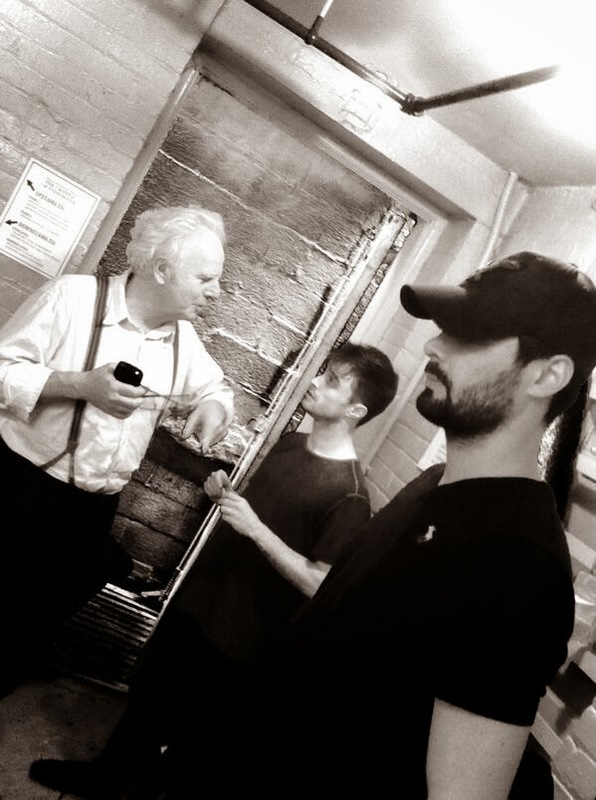 They did also celebrate director Michael Grandage's birthday with the cast on 3rd May. That photo is also posted below. 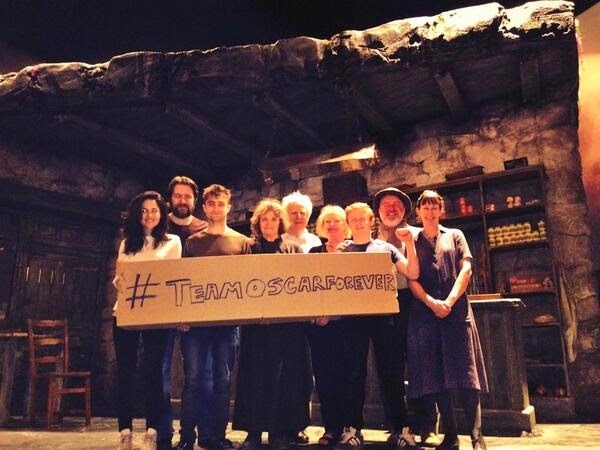 Then charity, the cast showed their support for The Oscar Knox Appeal (#TeamOscarForever). 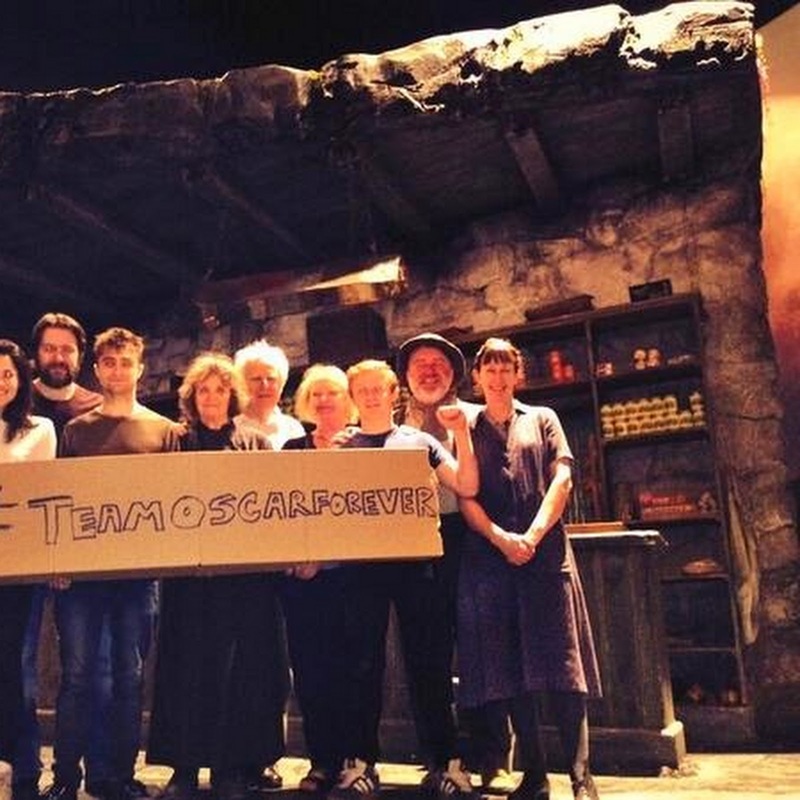 The appeal is raising money for the Neuroblastoma Children's Cancer Alliance in memory of Oscar Knox, who passed away on 8th May 2014 at The Children’s Hospice. The little boy was fighting neuroblastoma for the 2nd time. His family have asked that donations in lieu of flowers and teddies be made to Northern Ireland Children’s Hospice and the Haematology Unit at The Royal Belfast Hospital for Sick Children. 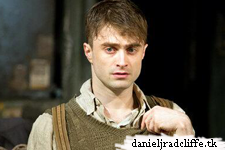 Then last but not least, you could have missed this interview with Daniel from Playbill.com which was shared with this website on Twitter. 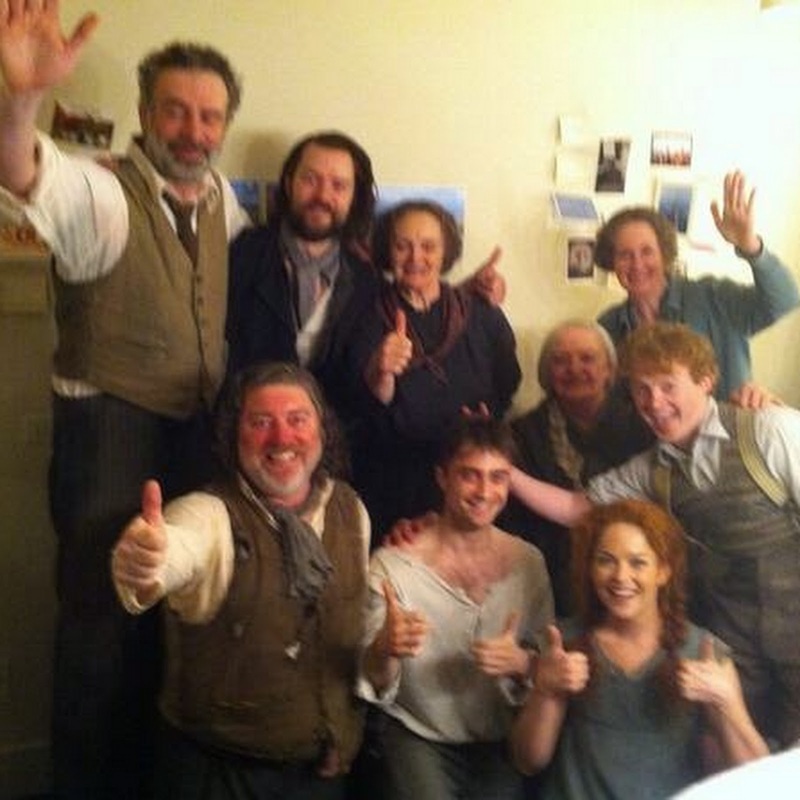 "The Tragedy of Comedy — Daniel Radcliffe Returns to Broadway in Martin McDonagh's The Cripple of Inishmaan"
Happy Birthday to that nice man Michael who we believe is a Grand Age now. Billy is not happy that the McCormick's won't play with him. 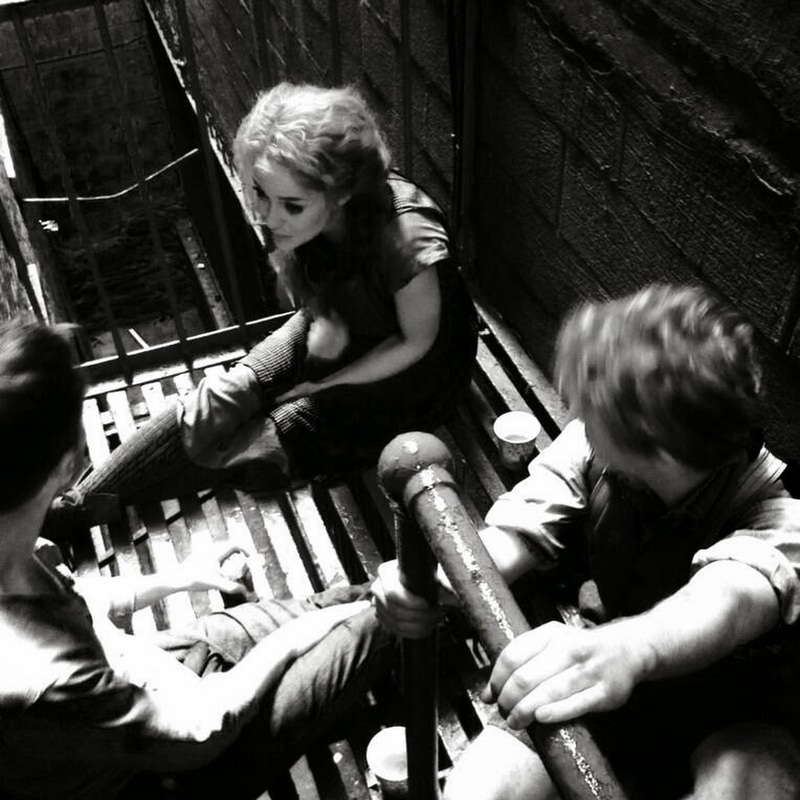 When Billy is not looking at cows he likes to sit with Helen and Bartley on the Fire escape. 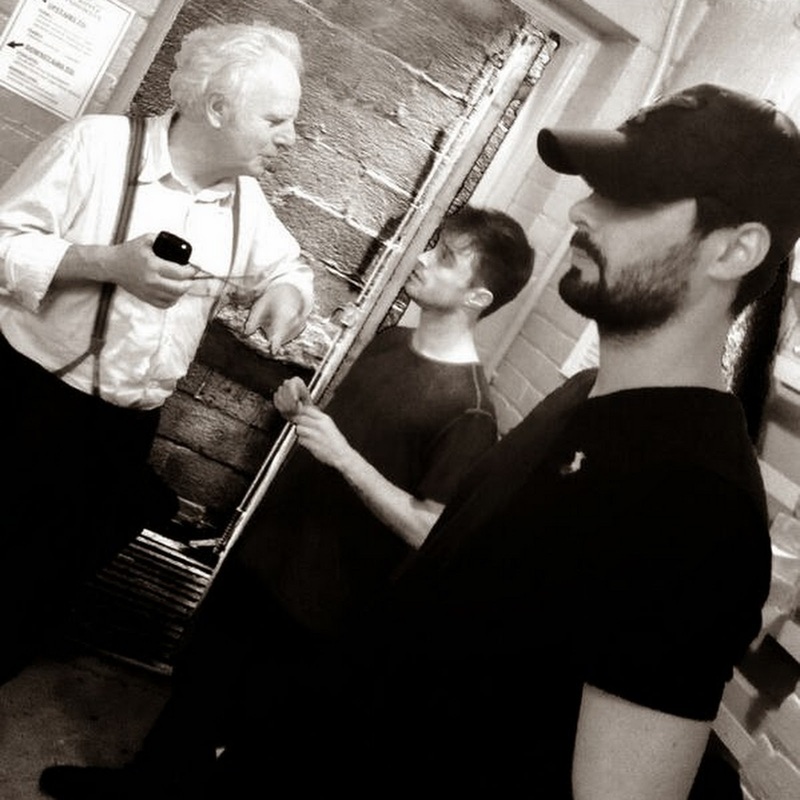 The doctor gives Billy some advice while Ralph just gets in the shot. 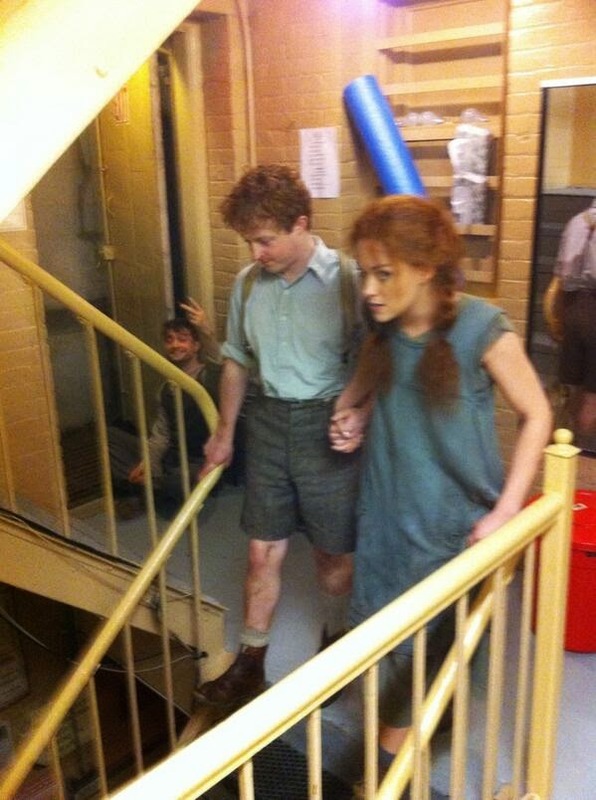 Is that a pony tail on Ralph?